This amazing R-Sim12 will unlock iPhone to any carrier worldwide. (NOT for CDMA sim card). R sim 12 work fori os 11 ,10. x for iPhoneX,iphone 8,8PLUS 7,7plus. R-SIM 12 4G New ICCID loophole to unlock. Item Description Condition: 100% Brand New, high quality Color: As picture show Suitable for: iPhone x/ 8/8P/7 Package Included: 1pcs Conversion: 1 inch = 25.4mm or 1mm = 0.0393 inch Pictures: Due to the difference between different monitors, picture may not reflect the actual color of the item. We guarantee the style is the same as shown in the pictures, but not the same performance on different bodies as on the model. Thank you for your purchase. If you unlock your iphone by the rsim 12,pls don't update your iphone system which make the rsim 12 doesn't work. R sim 12 work for IOS 11 ,10. x for iPhone XS/XS Max/ XR/X/iphone 8/8Plus/7/7plus. This amazing R-Sim12 will unlock iPhone to any carrier worldwide. All you have to do is insert ideallte sim with your sim and wait 10 seconds. Our Turbo sim has iccid edit tool program,if this unlock way is block in future, you can edit the new iccid number then renew the turbo sim again. Allows you to copy different number to one sim card, including phone book, SMS, ring tones, photos, etc. Get full access to your SIM card through your PC. Ability to copy the content from one SIM card to another. Input ICCID window will pop out, then complete it and press send button. Edit ICCID input: 89014104279202589594 and send. Dial guide code: 5005 7672 0#, select ICCID unlock in the Operator options, accept. Suitable for those who have several SIM cards to backup and modify information and clone into the blank SIM card. Can write the phonebook saved in the PC to another new SIM card. Save up to 16 different Sims to this super SIM card. R sim 12 work for iOS 11 ,10. x For iPhone X/ iPhone 8/ iPhone 8 Plus/ iPhone 7/ iPhone 7 Plus. This amazing R-Sim12 will unlock iPhone to any carrier worldwide. (NOT for CDMA sim card). 1PCS R-SIM 12 Nano Unlock Card. Complete sets to convert nano sim to micro sim, micro sim to regarlar sim, and nano sim to regular sim. Quantity: 1 x Nano Sim Card to Micro Sim. 1 x Nano Sim Card to Standard Size Sim Card. 1 x Micro Sim Card to Standard Size Sim Card. This Nano SIM Cutter tool is able to cut an original SIM down to a Nano SIM card, which can then fit into iPhone 5 and iPad4, and any other device that accepts a Nano SIM. - Two adapters included for your Nano SIM to change it back if required to a full sized SIM that can work in any phone, laptop or device that has a SIM card slot. 1 x Sim Card. Works with all latest iPhones with iOS 12 Iphone XS Max. USB 16in1 Sim card Reader Writer Copy Cloner Backup CD. Suitable for those who have several SIM cards to backup and modify information and clone into the blank SIM card. Save up to 16 different Sims to this super SIM card. This Noosy Sim Card Adapter Set lets you transfer your old sim and phone number to a new phone or tablet. Use the sim eject tool to open your sim tray. The ultra thin design allows you comfortably fit the sim into the sim slot. IOS version: iOS 12.2 and above. 1 x iDeal 4G III Perfect Unlock Sim Card ( Phones are not included.). Tip: The unlock card cannot be removed and must be used together with the SIM card. The perfect choice for iphone XS Max / XR, plug and play! Specifications: 1. Perfect unlock,you will NOT lost signal,you can use facetime/call/message/icloud etc all functions, just like a unlocked phone. 2 True Plug and unlock sim is no programing required. All you have to do is insert ideallte sim with your mobile sim and wait 10 seconds. 3. Unique unlock mode, 1/ is perfect unlock, 2/ is msi unlock which if perfect unlock no work any more, you still can use MSI mode to unlock iphone,just not perfect. Works with all latest iPhones with iOS: iPhone 5/5C/5S/5SE iPhone 6/6 Plus iPhone 6S/6S Plus iPhone 7/7 Plus iPhone X / 8plus/ 8 (1). Dial guide code: *5005*7672*0#, select the last option in the Operator list. Edit ICCID input: 89014104277806042929 and send. Storage capacity more than 250 phonebook entries (Can be accessed by all 16 SIM cards). 1 x 16 in 1 Max SIM Cell Phone Magic Super Card. Our goal is. Number editor: you can edit the number with numbers, letters or other symbols. (1). Dial guide code: *5005*7672*0#, select the last option in the Operator list. Edit ICCID input: 89014104277806044016 and send. (2). Dial guide code: *5005*7672*0#, select ICCID unlock in the Operator options, accept. (3). Reboot or take out & input the card directly. Activate the phone and enter the system for perfect and stable 4G. R-SIM will win because of professional! Package Included: 1* R-SIM12 Card. 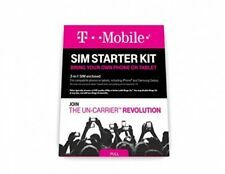 Package includes:1 x New Virgin Mobile Nano Format Sim Card. Virgin MobileNano Format Sim Card. SIM Cards |Chargers |Headsets |Cases |Screen Protectors |Batteries. - No contract - prepaid sim card. Package includes:1 x New Bell Nano Format Sim Card. SIM Cards |Chargers |Headsets |Cases |Screen Protectors |Batteries. BellNano Format Sim Card. - No contract - prepaid sim card. Samsung Galaxy - S3, S4, S5, S6, S6 Edge, S7, S7 Edge, Note 1, Note 2, Note 3, Note 4, Note 5, Core LTE, Grand Prime, J1, A5. Package includes:1 x New Virgin Mobile Triple format Multi Sim Card. IOS version: iOS 12.2 and above. The perfect choice for iphone XS Max / XR, plug and play! Compatible: iPhone Xs Max / Xr. 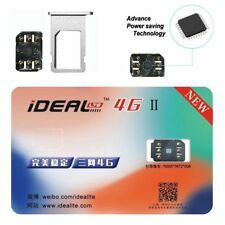 1 x iDeal 4G III Perfect Unlock Sim Card ( Phones are not included.). Tip: The unlock card cannot be removed and must be used together with the SIM card. This product has three card slot positions, which can be used to place Nano SIM card of any operators. The switch is used to switch the working status of three card slots. 1 3 in 1 SIM Test Card. Features Suite-type CPU256K chip crystal, more stable voltage. Brand new smart unlocking STK program, more stable and more durable, easy to operate. 3 in 1 design, no need 2 layer thick card(too thick card, harmful to iPhone card tray), no need traditional activation card, no need card upgrading dongle, no need using together with phone card. Faster unlocking speed, no lag even in exchanging ICCID. Super longer standby. One time for all in ICCID unlocking mode. This USB SIM card reader can get full access to your SIM card through your PC. Ability to copy the content from one SIM card to another. 1 USB SIM Card Reader. Software install will allow you to manage the SIM card copying process. Package includes:1 x New Bell Micro/Standard Format Sim Card. SIM Cards |Chargers |Headsets |Cases |Screen Protectors |Batteries. BellDual-Format Sim Card. 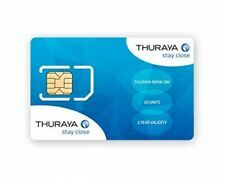 - No contract - prepaid sim card.